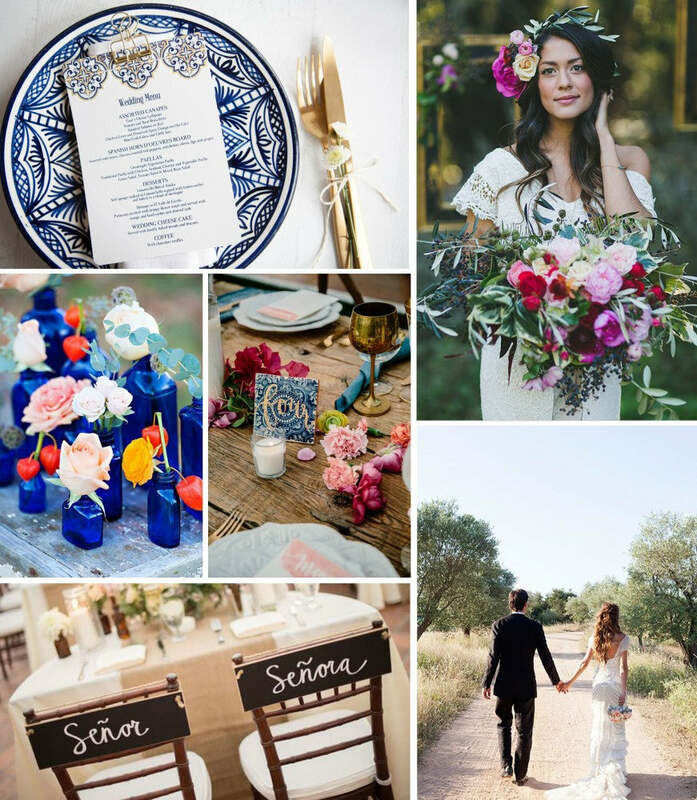 With this U.K. winter seeming to drag on and on...we're taking inspiration from our Spanish Tile Wedding Stationery design and dreaming of a sunny Mediterranean getaway. Weddings aboard are on the rise; with a better chance of sun, a holiday with all your favourites and a backdrop to your outside wedding dinner to die for, we can see why! Using the pattern of a traditional Spanish tile, I wanted to keep the rest of our invitation design simple. I imagined a wedding colour palette of cobalt blue, vibrent fuschia pink and soft gold glittering in the sun. With a backdrop of natural wood and rustic undyed cotton (and not forgetting the Spanish sunset) this is a wedding we'd like to go to please!